We all know that moving is an exciting and emotional time in our lives, but it can also be one of the most frustrating and stressful moments. Luckily, when you enlist the services of one of the most reputable moving companies, San Diego residents can count on us to ensure that each aspect of the job is taken care of with integrity and the best equipment. Our movers in San Diego use the best methods when it comes to safety, as well as keeping your space and valuable item at the forefront of their minds. When you want to ensure a punctual and secure move, then call our San Diego movers for the outcome that you deserve. Our moving company San Diego is dedicated to you from beginning to end. 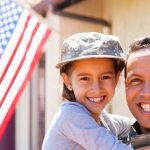 If you’re a member of the military, don’t let just any of the San Diego moving companies do the job! We put your needs first and have experience, so we can get the job completed with more efficiency and faster than most. We pride ourselves in being one of the best moving companies in San Diego for large moves whether you’re going across town or across the country. When you go with our team for San Diego moving, you’ll get to enjoy punctual service and the convenience of not having to call all of your friends and family to get the job done for you. The best part is our discount movers San Diego will listen to your budget and provide you with affordable pricing. Plus, we are friendly and knowledgeable, so you’ll get clear answers to your questions and we address each aspect of your needs. If you need pro movers, San Diego community members can count on us to take care of the heavy lifting and to ensure that the job is a priority. We know that when you enlist family and friends you get cancellations and you may fear that some will not have the strength for the large projects. If you have an office building, then you don’t want to ask employees to deal with the heavy lifting. Our moving services in San Diego make your day better, so don’t wait to call us in for jobs of all sizes from cross country to commercial moves.